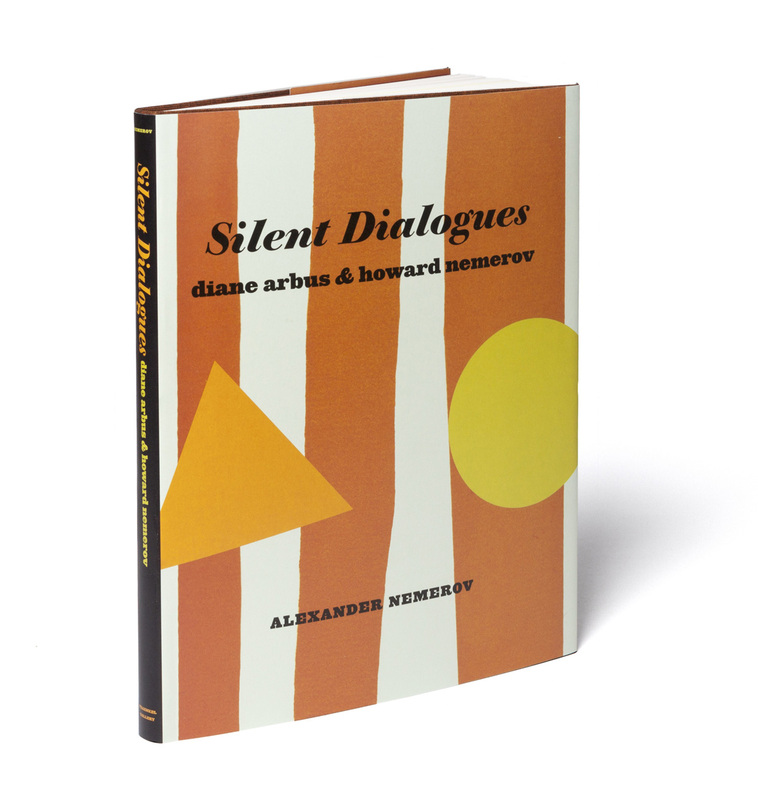 In Silent Dialogues, art historian Alexander Nemerov, son of former US Poet Laureate Howard Nemerov and nephew of Diane Arbus, traces his father’s evolving attitudes toward photography and his sister’s work in particular. Identifying parallels between the two, Nemerov concludes that Arbus’s art ultimately surpassed that of her poet brother, and justifies the comparison by pointing out that each sought a kind of mystical revelation through their practice. Both, he writes, wanted to discover and reveal the people who “know the utmost we can know,” something beyond the explicitly documentable, close to a spiritual revelation. While this might be the natural pursuit of a certain kind of poet, it was an unprecedented quest for a photographer, for at the time, most of the art world embraced Nemerov’s limited view of the medium. Prejudiced against photography as “part of a journalistic disenchantment with the world,” bearing “the creepiest relation to past-ness … the freezing of life,” Howard Nemerov found his sister’s images particularly ghastly, alienated as they were from his poetry of “flitting things, of dragonflies and cinnamon moths, of falling leaves and swimming koi.” Revealingly, when Nemerov was asked to show a visitor what became one of his sister’s most iconic works, “Identical Twins, Roselle, N.J. 1966,” he took the print from where it was kept loose in a drawer and held it by one corner “as if it were … a wet rag fished out of the trash.” Alexander Nemerov insinuates that it was ultimately professional rivalry that caused Howard to reevaluate his response to his sister’s work and field. If H. Nemerov came around to Arbus’s work reluctantly, it was his initial dismissiveness that had informed her work, if only to show her the kind of photographs she did not want to take, and propelled her to “push down on this (medium’s) extraordinary literalness, until it yields something like …. ‘a hallucination that was really there.’” As Arbus sought out the mystics and prophets directly, those who “believe in the imminent end of the world” or can see when “the Messiah comes wandering out of the woods,” H. Nemerov was arriving at the realization that his own oeuvre was closer kin to that of nature poet William Wordsworththan that of the poet of mystics and prophets, William Blake — a disappointing realization, no doubt, for someone of his esoteric ambitions. 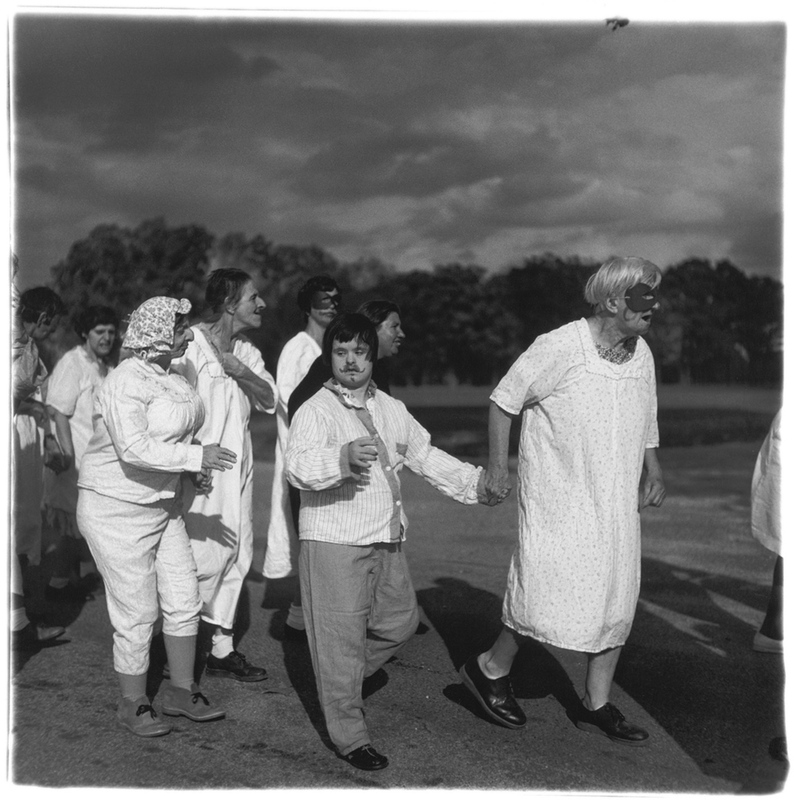 He began to see that Arbus’s photographs were not “grotesque oddities but, rather … visions of the way we are,” and this revelation jettisoned his own practice into a two-year long writer’s block, while his sister’s reputation grew and photography itself enjoyed burgeoning respect as an art. While the connections Alexander Nemerov draws between his father’s and sister’s canons are fascinating, it is his tour de force interpretation of Arbus’s School series, and his explication of its significance in demonstrating photography’s potential, that is Silent Dialogues’ revelation. It’s not necessarily an easy read, and his interpretations sometimes seem to stretch into Hineininterpretierung. For instance, in his discussion of “Untitled (62) 1970-71,” he describes the girl pictured, “Hand to head, absorbed in her own world, the girl seems to have forgotten something, or to be holding a thought inside her head before it should escape …” but then somehow lands on: “Hers is not a reverie but a dullness and a blankness. But in that vacancy the world discloses itself.” Ascribing dullness, blankness, and vacancy to the expression on the face of a mentally handicapped child reflects an attitude rather than an insight, and the same sort of attitude as those of previous eras that accepted the colloquial use of the word “retarded,” a word Arbus used in her own writings (see Chronologies, Aperture) and which he still uses in this book. But beyond that, how he finds that “the world discloses itself” in that vacancy is unclear, or at least not a persuasively objective, and therefore communicable, reading. Of “Masked woman in a wheelchair, Pa. 1970,” he says, “Although we know that the old woman is just pretending to be a witch, there is a strange sense that she is a witch.” Nemerov’s ensuing discussion of the image, incorporating Don Quixote as an example of one who (like a photographer) can “will” a fantasy (such as a witch) out of the banal, and likening the photographer’s practice to a kind of necromancy, is elegant, probing, formidably erudite. But his claim nevertheless hinges upon the conviction he starts the discussion with — that the image conveys the “sense” that the woman pictured is a witch. If one does not get that sense from the photograph, then the explication might leave one feeling cowed rather than guided, overpowered into a sort of mental submission to Nemerov’s reading not only of the photograph itself but of what it says about the photographer’s art. This entry was posted in ART, books, photography, REVIEWS and tagged Alexander Nemerov, ART, books, Diane Arbus, Fraenkel Gallery, Howard Nemerov, photography, poetry, REVIEWS. Bookmark the permalink.